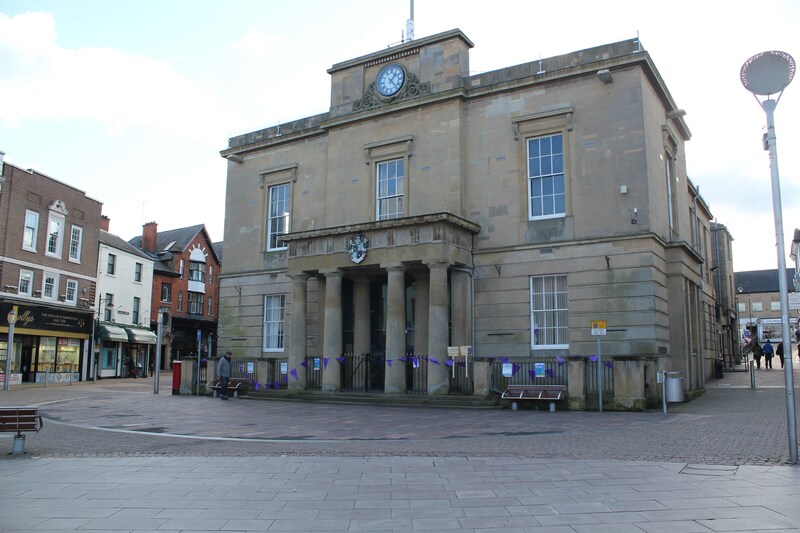 The Mansfield District Council scheme, a flagship project in its regeneration strategy, involves bringing the Grade II* listed building back into full use for the first time in more than 30 years. It is expected to be complete in spring next year. Executive Mayor of Mansfield Kate Allsop said: "We are very excited about this project as it is a significant part of the council’s strategy to encourage Mansfield to be seen as a destination for visitors, shoppers and businesses looking to invest in the district. "This is a prime location and we are expecting it will encourage employers and high end retailers to set up in the town centre and create at least 20 new employment opportunities." The re-purposing work will create three retail units in a shared space on the ground floor with two fully refurbished medium sized offices on the first floor towards the rear of the building. In addition, two existing retail units at the side of the hall will be redeveloped, and the old Council Chamber at the front of the building on the first floor, will be refurbished. Ideas being considered for the chamber include making it available to hire for functions, business use or weddings. The work, being carried out by Rosslee Construction, will mean that the Old Town Hall car park will be out of action until the scheme is complete. Sajeeda Rose, Interim Chief Executive of D2N2, said: “We are extremely pleased to see the Mansfield's Old Town Hall project come forward as part of our N2 Town Centres programme. "This project is an exciting step forward in the economic development of Mansfield and provides a great opportunity for a heritage asset to be brought back in to use. Paul Hodgson, Commercial Manager of Rosslee Construction, said: "We are very pleased to have been contracted to work on this prestigious project involving one of Mansfield’s most important historic buildings. "As well as breathing life back into this glorious building, our contract will also boost the local economy by offering opportunities for local businesses and suppliers."